I find it best to get armor that give you high damage, since your stat points will be all in CRIT and SPD. Also keep an eye out for secret stones that boost ACC. I have secret stones in every pieces of my armor that boosts 3% ACC each, bringing me up to 21% ACC. With this, I’m able to reliably hit targets with 95% evasion. For guns, I used a secret stone for +15% crit damage for Aimed Shot. The other bonus is either ACC or CRIT DMG. You don’t need damage on your staff, just one with a secret stone that gives you ACC. Pretty straightforward. Put points into SPD until 30%, then put the rest in CRIT. For defensive stats, I find it better to put points in HP or EVA (unless you PVP, then health) until you get the envoy trait, Gunpowder Armor, for the 7% conversion for DEF to CRIT, then reset your points and put it all in DEF. Making an envoy path was surprisingly simple so I feel it’s self-explanatory. As for ultimate skills, some of you may be wondering about my thoughts behind my choices. 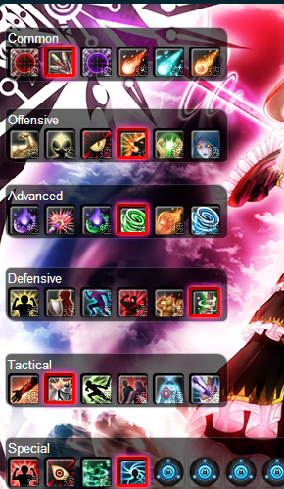 I picked barrage -8% defense over firebomb stun because it provides overall better DPS than a short 1.5 sec stun. That, and stun immunity makes the stun rather useless, especially when I would rather use Instant Thunder to close the gap + stun to set up a trap. 10% to deal 50% extra damage is one of the best ultimate skills in the game, period. +5% to deal damage per hit sounds more consistent, but consider the fact that you have to hit 10 times to match the +50% extra damage. 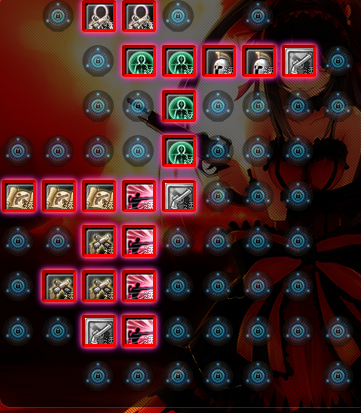 Due to Gunslingers having high SPD and low base cooldowns, as well as double hit in the envoy trait, proccing +50% DMG is easy. Storm Curse -8% is simply better than the rest of the lackluster ultimate skills in this tier, except for maybe +5 skill level on Dark Flare Trap. +3% EVA is good but the +5% MOVESPD is the main reason I picked this ultimate. It allows for safer kiting. A 1 in 4 chance to decrease the target’s DEF by 10% for 8 seconds? Quite amazing, especially when stacked with the rest of the -DEF%. 1% of DMG being added to DEF isn’t much, but it certainly scales better than 1% DEF to SPD. Keep in mind that by 60, you’d have ludicrous amounts of DMG to actually get enough DEF to feed the Gunpowder Armor envoy trait for additional CRIT RATE.